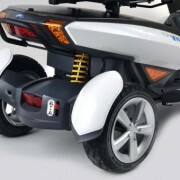 The Vita from TGA is amongst the most advanced and stylish scooters in the world. 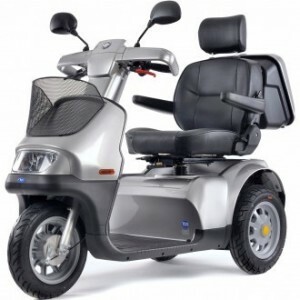 It has full suspension featuring double wishbone suspension at the front, and a mono shock absorber at the rear utilizing revolutionary technology from the motor cycle industry. 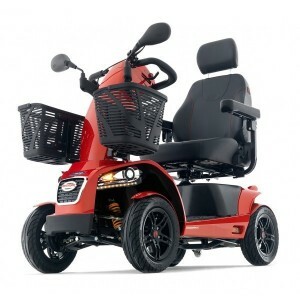 A robust rear wheel drive system propelled by a powerful motor will provide one of the smoothest and most comfortable rides that you will find. An intuitive liquid crystal display instrument console clearly shows accurate real time information of everything you need including speed, time and temperature. 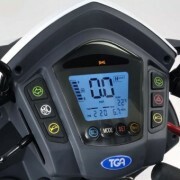 A handy trip computer shows how far you have travelled and a battery condition indicator shows the amount of charge remaining so you will never be caught short. 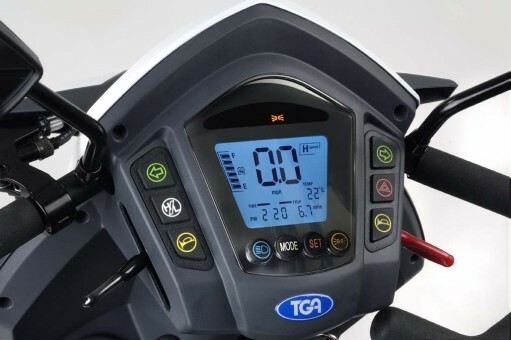 The whole instrument panel is conveniently back lit so it is easily read in low light. 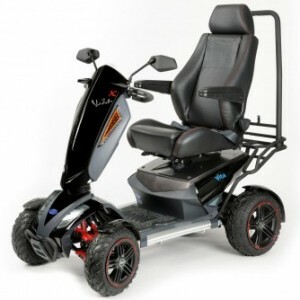 Speed control levers on either side of the console are designed to give forward and reverse control from either side, the top speed can be easily controlled with a handy hi / low switch limiting the scooter to either 4mph for pavement use or 8 mph for use on the road. 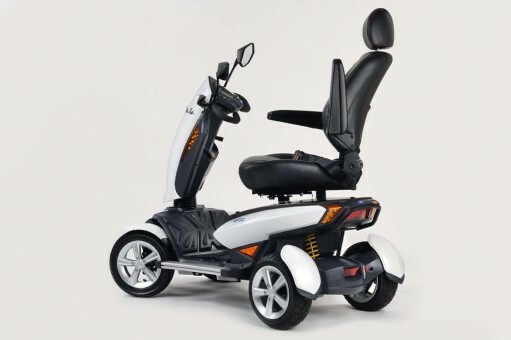 Its modern LED lighting system provides super bright lights, with less power consumption, longer life and are maintenance free – proving that Vita really is a glimpse of the future of mobility scooters. Vita has been designed to take practically everything on for you at the touch of a button. 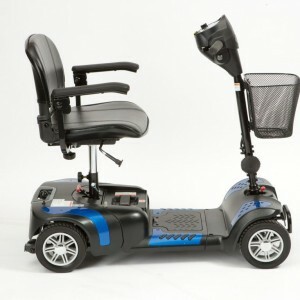 Its onboard control computer gives you smooth pull-aways and automatic braking. 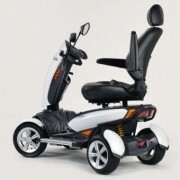 Everything has been thought of, there is even an emergency brake that stops the scooter and cuts the motor in case of emergency. 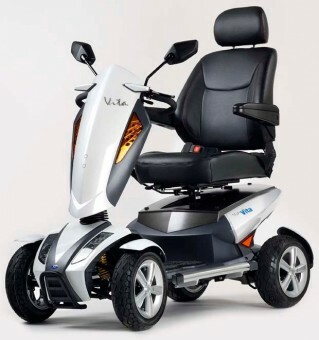 Fully adjustable comfortable seat, with adjustable backrest, headrest and armrests, all round alloy wheels and 80mm (3.1″) ground clearance, allow Vita to negotiate even the trickiest of terrain with ease. 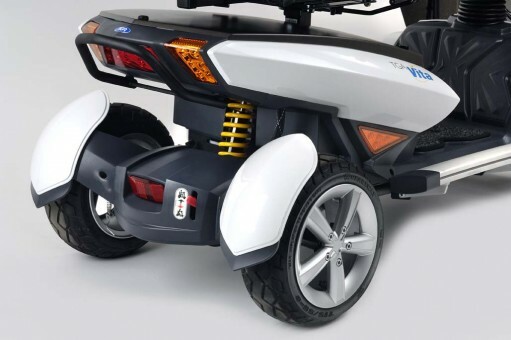 All Vita 4 scooters are now available with our unique puncture sealant solution FREE OF CHARGE at point of sale for extra peace of mind.